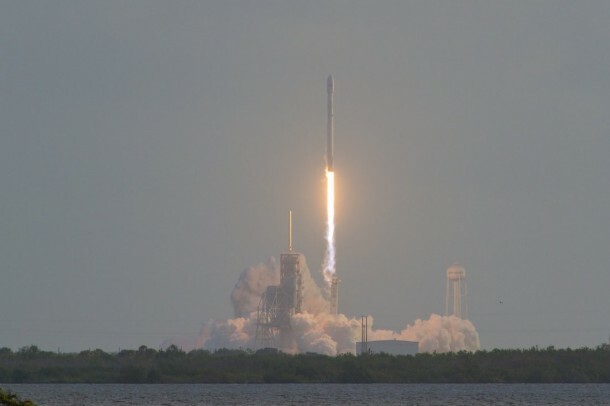 CAPE CANAVERAL AIR FORCE STATION, Fla. – The U.S. Air Force’s 45th Space Wing supported SpaceX’s successful launch of the NROL-76 spacecraft aboard a Falcon 9 rocket from Space Launch Complex 39A at NASA’s Kennedy Space Center May 1 at 7:15 a.m. ET. SpaceX’s Falcon 9 rocket is carrying a classified national security payload for the U.S. National Reconnaissance Office. This will be SpaceX’s first launch for the NRO. This launch marked the third launch to use the Autonomous Flight Safety System and the fourth successful landing of the Falcon 9 first stage booster on SpaceX’s Landing Zone 1 at CCAFS. AFSS takes ground-based mission flight control personnel and equipment out of the control center and replaces it with on-board Positioning, Navigation and Timing sources and decision logic. The benefits of AFSS include increased public safety, reduced reliance on range infrastructure, reduced range spacelift cost, increased schedule predictability and availability, operational flexibility, and launch site flexibility. The Falcon 9 NROL-76 launch was the seventh major launch operation for the Eastern Range this year. Before any launch can blast off from the range, a dedicated team of military, government civilians and contractors from across the wing provide the mission assurance to ensure a safe and successful lift-off for range customers.